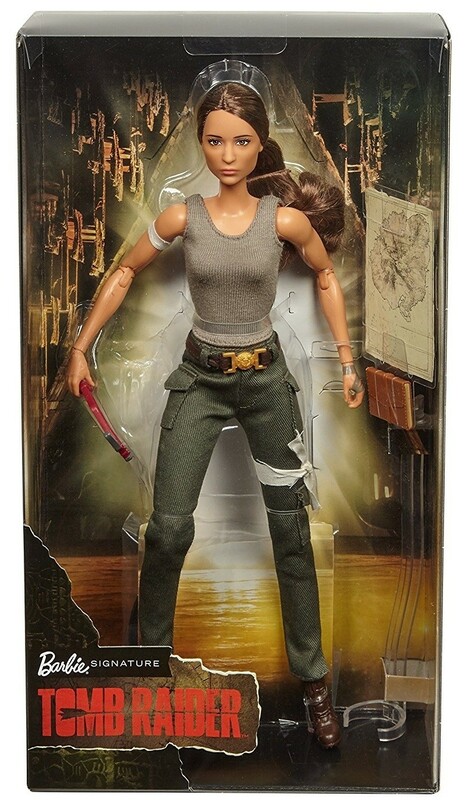 Lara Croft is the fiercely independent daughter of an eccentric adventurer who vanished mysteriously. Leaving everything she knows behind, she embarks on a journey to his last known destination: a fabled tomb on a mythical island. Lara ventures into the unknown armed with only her sharp mind, blind faith and stubborn spirit. She must push herself beyond her limits. Can she survive this perilous adventure, and earn the title of Tomb Raider? 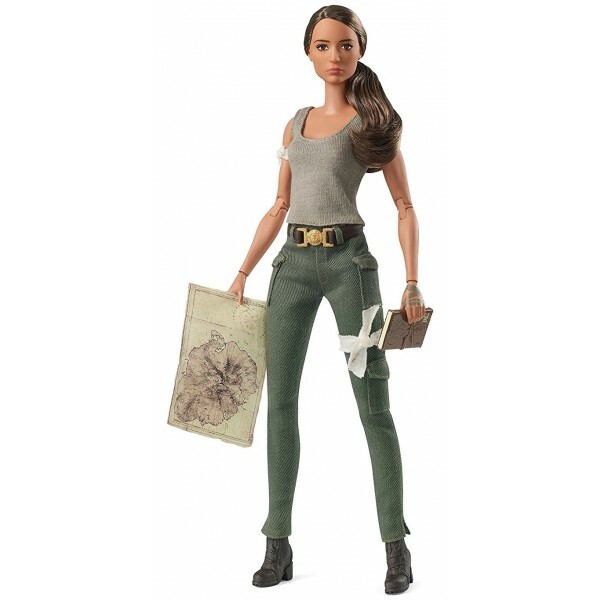 This doll from the Barbie Signature line is modeled off actress Alicia Vikander's appearance in the 2018 Tomb Raider movie. With multiple points of articulation, it's easy to pose her in dynamic ways for play or display. The doll also comes with a map, an axe, and a journal, as well as a doll stand and Certificate of Authenticity.